Officially Licensed Stubborn Records Exclusive! 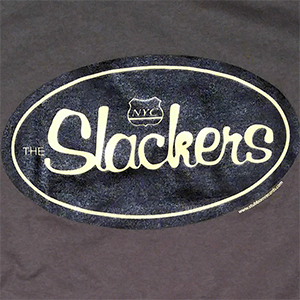 The classic Slackers' NYC Oval design, crispest and tightest it's ever looked, with a brand-new up-to-date color scheme. 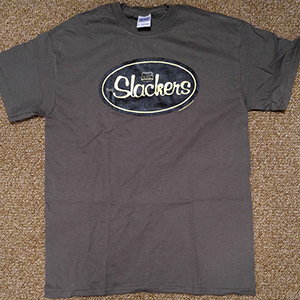 2 colors on 100% pure cotton Gildan Ultra Cotton t-shirts. Girls' M is American Apparel Classic Girl 100% combed cotton. CD: The Toasters - Skaboom! Copyright Stubborn Records. All Rights Reserved. eCommerce Software by 3dcart.